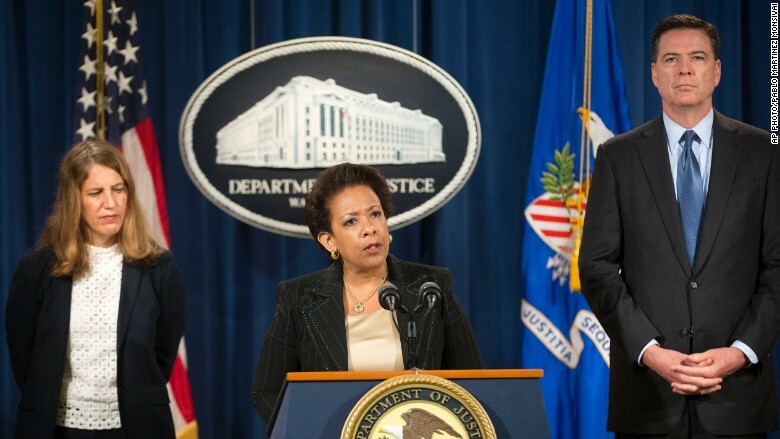 Attorney General Loretta Lynch announced the Fed's biggest Medicare fraud takedown this week. Four people are charged for mass-marketing a talking glucose monitor and sending the devices to Medicare patients across the country who didn't need or request them. They billed Medicare for the devices and received more than $22 million. In some cases health care providers paid kickbacks to fraudsters who could get their hands on Medicare patients' personal information. They would then use that info to bill Medicare for bogus care. A Los Angeles doctor is charged for allegedly billing $23 million for 1,000 power wheelchairs and home health services that were not medically necessary and often not provided. And in a Florida case, a health care provider received $1.6 million from Medicare for prescription drugs that were never purchased and never dispensed, said Lynch. The FBI analyzed billing data to find areas in the country where there is a high potential for fraud. "In these cases, we followed the money and found criminals who were attracted to doctors offices, clinics, hospitals and nursing homes in search of what they viewed as an ATM," said FBI Director James B. Comey. The DOJ's Medicare Fraud Strike Force team led the investigations. Since 2007, it has charged 2,300 people who have falsely billed the Medicare program for more than $7 billion. In recent years, the team has expanded from two cities to nine, thanks to an additional $350 million in funding from the Affordable Care Act.